If you are a low to moderate income individual or family and a first time home buyer in Kentucky, the Kentucky Housing Corporation may have the perfect mortgage program, and closing cost and down payment assistance program to help you buy a home. The Kentucky Housing Corporation has many home buyer assistance programs to help those who need financial assistance to buy a home. First Time Home Buyers or previous home buyers looking to purchase a home in Kentucky can turn to the Kentucky Housing Corporation to get assistance. KHC has several mortgage programs available to aide in buying a home. To see if you are eligible, you must apply for a KHC loan program through a participating lender. KHC loans have low interest fixed rate mortgage programs, flexible underwriting requirements, allow for little to no down payment options, and provide access to down payment and closing cost programs for those who qualify. How To Qualify For A Kentucky Housing Corporation Mortgage? Qualifying for a Kentucky Housing Corporation Mortgage is as easy as qualifying for a mortgage except these loans are meant for those who have low to moderate incomes and need a little extra help paying for their mortgage. There are income limits and home purchase price limits that apply depending on the family size of the home buyer and depending on the location of the property to be purchased. Eligible home buyers must intend to live in the home being purchased as their primary residence. You must also be employed or have some sort of documentable income that will continue. Are There Down Payment and Closing Cost Assistance Programs Available In Kentucky? The Kentucky Housing Corporation offers a variety of down payment and closing cost assistance programs to qualified and eligible home buyers. There are primarily 4 programs that KHC offers to home buyers that use KHC’s first mortgage loans to purchase a home. To obtain and qualify for any of these programs interest home buyers must apply for these programs through participating lenders. Regular Down Payment Assistance Program (DAP) – This program has a statewide purchase price cap of $237,000 and offers down payment assistance in the form of a loan that is paid back over 10 years. A qualified home buyer using a KHC first mortgage program can get up to 4% of the purchase price in this program to be applied to their down payment and closing cost needs. 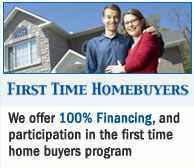 HOME – Down Payment Assistance – This program has a statewide purchase price limit of $195,700. Up to $4,500 in down payment and closing cost assistance is available to qualified and eligible home buyers. There are no monthly payments for this program and if the home buyer remains in their home for 5 years the home buyer will not be required to pay any of the money back. Income limits apply based on the county or metropolitan area where the home being purchased is located. HOME Special Program - This program has a statewide purchase price limit of $195,700, and provides up to $10,000 in assistance to eligible home buyers. The money from this program doesn’t not require repayment if the home buyer remains in the home for 5 years. No monthly payments are required for this program. Households that include a person with a permanent disability and who receives SSI, SSDI, Veterans Disability, or some other form of disability income are eligible for this program provided they meet the qualification standards of the type of mortgage they apply for. This program is also available to home buyers over the age of 62. Home buyers using this program will have to meet income cap requirements. HOME Family Program – There is a statewide home price limit of $195,700 for this program and it is only available for single and two parent families where there is at least one dependent child under the age of 18 living in the home. Furthermore, this program is only available for first time home buyers. Eligible home buyers can get up to $10,000 in this program and if they stay in their home for at least 5 years the assistance is forgiven. There are no monthly payments for this program. Home buyers using this program will have to meet income cap requirements. Are There Any Other Home Ownership Options In Kentucky? Homebuyers in central and northern Kentucky can also look to the Community Ventures Corporation (CVC) for home buying options. The CVC offers three major programs to assist low income families in becoming homeowners. a new construction loan program for those borrowers interested in purchasing a new home in rural Kentucky. Among qualifying for a loan program, access to these loans do require home buyers to attend home buyer education classes and are available for application through participating lenders statewide.